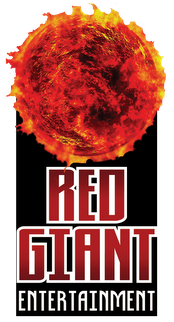 ORLANDO, FL—October 3, 2018 – Red Giant Entertainment Inc. (REDG), an innovative Intellectual Property company specializing in high quality characters and content for use in a variety of media and entertainment, today announced that the Company will exhibit at New York Comic-Con from October 4-7, 2018, where its imprint Absolute Comics Group will debut hot new series WHITE WIDOW in a limited edition New York Comic-Con exclusive preview comic book. Created by popular artist Jamie Tyndall alongside Red Giant Entertainment CEO Benny R. Powell, WHITE WIDOW is set in the “Absolute Comics Universe” and follows the adventures of Gabrielle Garcia, a typical American girl who suddenly finds herself transformed into the superpowered White Widow after her scientist father is murdered. New York Comic-Con attendees, which are expected to number at over 250,000 this year according to event organizers, will be able to preview Gabrielle’s story in WHITE WIDOW NYCC PREVIEW BOOK #1. The book will feature a total of 8 NYCC exclusive variant covers and be available for purchase at Red Giant Entertainment’s Booth #1271, where it can be autographed by creators Powell and Tyndall. There will be variant covers by artists Sorah Suhng, Ryan Kincaid, Jason Metcalf, Benny Powell and 4 covers by Jamie Tyndall. All artists are expected to be in attendance at the show. The first issue of WHITE WIDOW was crowdfunded by a very successful Kickstarter campaign, which took in $82,949 from August 23rd through September 22nd. The series will be distributed to comic book stores worldwide by Diamond Comic Distributors, with WHITE WIDOW #1 scheduled for release on November 28th. Comic store customers will have two covers to choose from, while Kickstarter backers were able to choose from among over two dozen variants by popular artists like Mike Debalfo, Elias Chatzoudis, Sorah Suhng, Mike Krome, and Ryan Kincaid. Jamie Tyndall is a comic book creator that has quickly become one of the comic industry’s most popular cover artists. He is regularly a featured artist by companies such as IDW Entertainment, Zenescope, Valiant Entertainment, and Stan Lee’s POW Entertainment and properties such as Lady Death, GI JOE, Transformers, My Little Pony, TMNT, Archie, Grimm Fairy Tales, Alice in Wonderland, Ninjak, Godzilla and Danger Girl.. Now he has turned his talents, for the first time ever, to his own creation – White Widow. The comic itself is written by veteran comics writer, Benny R. Powell, whose credits include years at Marvel Comics, Red Giant, Academy Comics, and now Absolute Comics. He’s worked on titles such as X-Men, Fantastic Four, What If..?, Marvel Vision, Robotech and the massively popular webcomic Wayward Sons: Legends. Interior pencils include work from Jamie Tyndall, and a new, amazing talent Iwan Nazif! 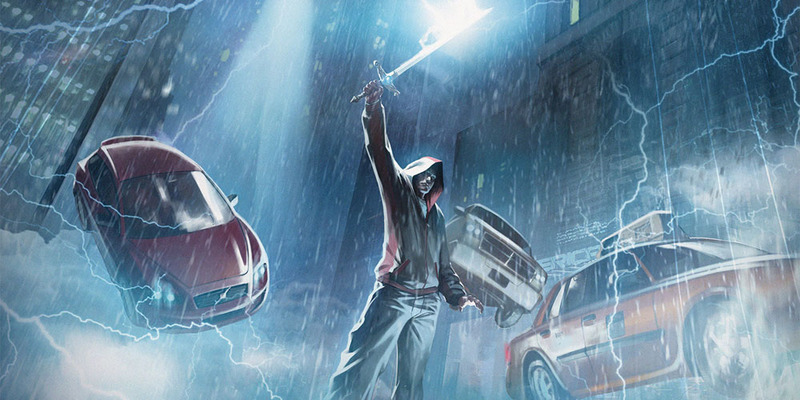 Iwan got his first international contract as the comic artist from Dark Horse Comics for KULT comic series. This was followed by Mass Effect 2 and 3, also published by Dark Horse Comics. Iwan eventually received a contract to illustrate Dreamworks’ How To Train Your Dragon comic series published by Titan Comics. Now his considerable talents are focused on White Widow alongside Jamie!